by Michelle Toole: Are you interested in owning a pet and don’t know which one to get, or are you already a dog-lover and just want to know more about man’s best friend? Regardless of your reasons for reading this, there are a lot of benefits to owning a dog. Dogs are great for your physical and mental health and here are seven reasons why. You won’t need it if you have a dog. That’s because dogs are known to lower stress levels. Studies have show that being with a dog for five minutes lowers your levels of cortisol, a stress hormone. Some people even reported feeling more relaxed around their dogs than their spouses! Many people love their dogs with all their hearts and dogs keep those hearts healthy. Studies revealed that you can lower your blood pressure just by petting your dog. Another study discovered that dog-owners were nine times more likely to be alive one year after a heart attack than those without dogs. Most dogs need to go for a walk twice a day for at least 20 minutes. This means that you’re walking twice a day for 20 minutes too! Dogs help to add physical activity to your schedule, giving you some well needed exercise. Don’t forget weekend play dates at the park! 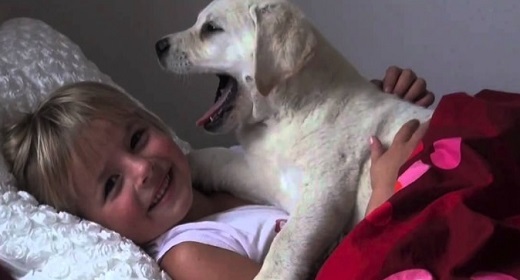 Dog’s are known as the best companions to us humans for a reason: Dogs are fiercely loyal. They sense when you’re in need and instinctively want to protect their owners when they’re in danger. No argument you have with someone will make them judge you or love you less. It’s hard to feel alone when you have a dog around. 5. Do You Sense Something Wrong? Your dog will sense a security concern long before you do. Dogs are like our personal detectives. They have a great danger sensing capacity, thus making them excellent service animals and security guards. Some dogs can even sense medical conditions. An eight-year-old black lab named Marine can detect colon cancer just by smelling your stool or your breath with 91-97% accuracy! A study at at the Cummings School of Veterinary Medicine at Tufts University revealed that people who have a strong bond with their pets tend to also have strong connections with their community and relationships. Dogs can also make you a more empathetic and confident person. 7. Come On. Get Happy! These furry friends are always excited to see you, even after a brief moment of separation. They love you unconditionally and listen to your frustrations without passing judgement. Dogs also give us a sense of responsibility and a feeling of importance. That ought to put a smile on your face. It is important to note, that dogs cannot replace a check-up from the doctor, or a visit to a therapist. Dogs should not be treated as cures, but embraced as close friends that help you get through your day.